This is my first time at this camp led by Pastor Joe Stoppelbein and I am thoroughly enjoying this week of revival ministry to about 170 teens from 14 different churches. 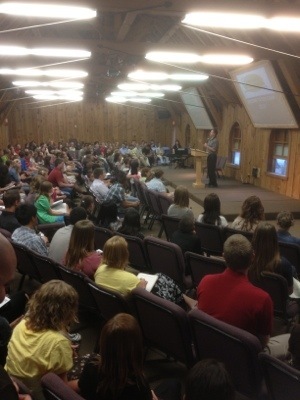 Last night (Tuesday night) in the service, the Spirit of God truly worked in practically 90% of the teens hearts. I was a little taken back as to how large the number that responded.